Teach children to cleanse their busy minds with the elements to be able to fall asleep naturally. 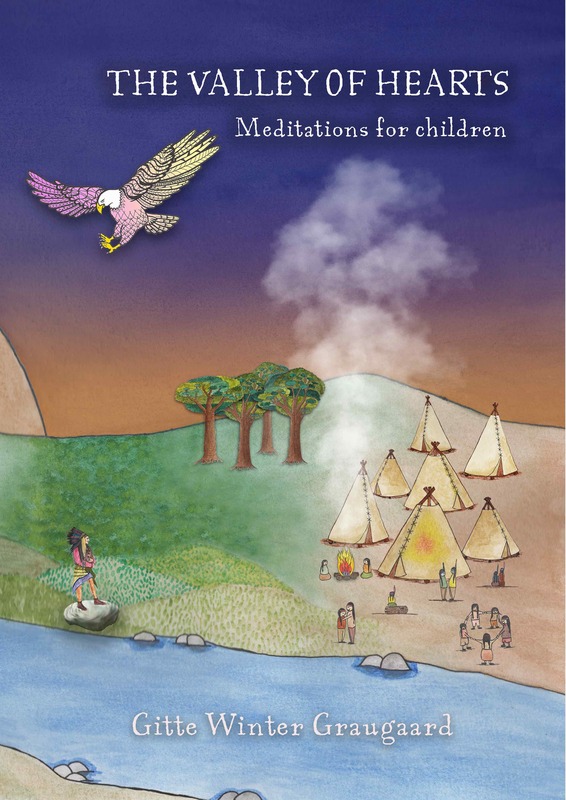 After writing “The Children’s Meditations in my Heart” and seeing the positive effect it had on children’s sleep, I became curious to learn more. I loved the way the book connected parent and child in such a loving energy. I loved that the book helps children grow love for themselves. I loved that child meditation with heart energy could actually teach the children to fall asleep etc. Why can’t our children sleep in the first place? What is keeping them awake? And how can we help them? I found out that children today sleep ONE HOUR less than we did 25 years ago as kids. 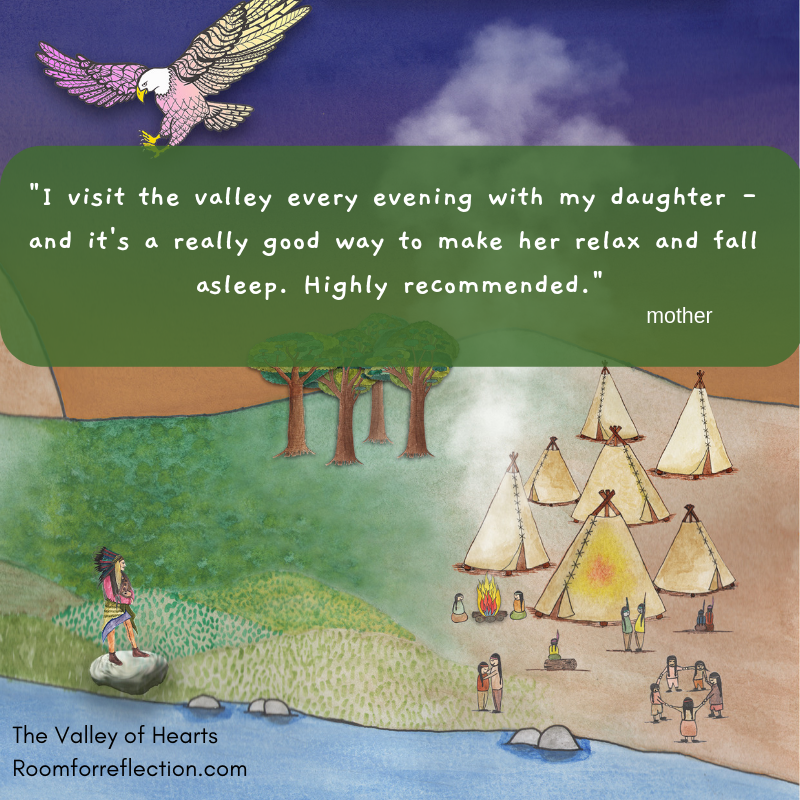 Many parents from all over the world have told me that my book “The Children’s Meditations in my Heart” has transformed sleepless nights with so much stress into a blessing of the day as their child now sleeps within minutes. These years we see an increase in depression and stress among children. One of the first ways it shows is in the inability to fall asleep naturally. For many kids their bodies don’t feel tired and their minds are busy. Cortisol and adrenaline run in their blood and it is hard for the child to shift from the sympathetic nervous system to the parasympathetic nervous system. They can’t find inner peace. It is no different from a stressed out adult. Adults need their sleep to thrive. Children need their sleep for so many more reasons, physical growth and developing their brains to just name a few examples. Sleep is so crucial and so many things would change for the better for so many children if only they slept enough! We also see an increase in children with obesity and know today that it can be linked to lack of sleep. As an adult I find that the four elements fire, water, earth, and air can help me and my clients heal, find peace, balance and thrive. I wanted to find out if children could benefit from becoming more conscious of the elements around them and even more importantly inside of them. Could all the stress and depression come from us people no longer feeling connected to nature around us and inside of us? That was my hypothesis. Last year it led me to write and publish The Valley of Hearts in Danish, and I have been eager to also be able to share it with you in English. It comes in English as booklets in a series of five. The first booklet is ready and the next four will be published throughout the coming year giving you time to dwell on each booklet. Everything is so fast today. And I really like slow. The journey into this beautiful valley has been truly magical for me, my own children — who still ask to go every night, and for my many Danish readers. I love working with the elements fire, water, earth and air on myself and with my clients. When I saw the effect balancing your energy with the elements has on adults, I immediately wanted to teach children to do the same — to learn from an early age that they are nature. And boy are they good at it. They are so much more connected to nature and to themselves than the adults I work with. I love it. And if they stay connected, it will help them immensely when they grow up. In this video below I introduce The Valley of Hearts to you. You can get the first booklet now. It is ready for download as a pdf from my website. Later it will also be available as paperback. The valley is full of thousands of Danish kids all eager to bid our international friends — you and your children welcome. It is truly a magical place for children to go to at the end of a busy day to unwind and find peace. Gitte Winter, is a Danish writer, life coach, energy mentor, mindfulness instructor and lightworker (Roomforreflection.com). She is on a mission to help parents help their children to thrive through child meditation heart balanced living. Gitte helps parents become more conscious, aware of their energy and what they radiate, and teaches parents to always parent themselves first before they parent their children. Gitte is also the founder of Momo Academy (www.momo-academy.com) with a mission to help Danish schools offer mindfulness to the pupils as part of their education. She also coaches parents and do workshops. Check out the blog at RoomforReflection.com and meet her on Facebook for the latest news on child meditation and mindfulness.